One of the questions that I often get asks is "If God doesn't want people to go to hell, then why doesn't he make himself more known?" Previously, one way I've answered this is to point out that even if God were to do a miracle in front of someone, it doesn't guarantee that the person would place their trust in him. However, I want to raise another possibility as to why God doesn't make Himself more obvious: God values trust. Jesus emphasized God's desire for trust in his dealings with Thomas. Remember, the disciples had seen the risen Christ on that first Easter evening, but Thomas wasn't present. John then records that Thomas wanted more proof than the testimony the others offered, stating "Unless I see in his hands the mark of the nails, and place my finger into the mark of the nails, and place my hand into his side, I will never believe" (John 20:25, ESV). Jesus appears to Thomas a week later and says, "Have you believed because you have seen me? Blessed are those who have not seen and yet have believed" (John 20:29, ESV). Before we go too far, it's important to note that Jesus wasn't telling Thomas to believe with no evidence. Thomas had walked with Jesus for three years and had seen many miracles, including the raising of the Jairus' daughter and more recently Lazarus. The Gospels tell us that he also spoke plainly about his death and resurrection (Matt 16:21, Matt 17:22, Mark 9:9, John 2:18-21, John 11:25). Jesus was not asking of a blind faith, but one built upon the time and evidence he had already provided. Similarly, instead of proving himself to us at every turn, God desires that we trust him by looking at the ways he has already revealed himself to us. I can think of at least three reasons why God would want to look for us to trust Him. Trust is the key to faith. Imagine a man who marries an attractive woman, one who seems to be hit upon by almost every man she meets. Now imagine that right after marriage, he continually tracks her whereabouts via her cell phone's GPS, he places hidden cameras in her car and in the home, and makes her prove that she hasn't had an affair. What kind of relationship would they have? Does such a man truly love this woman, or does he simply want to control her? In order for love to be real, one must have some trust in the beloved. God wants to cultivate the virtue of trust in us. It would be as inappropriate for us, as children of God, to demand proof of God's actions as it would be a young child demanding proof that her parents are not torturing her because of their demand to have her eat her vegetables or to not cross the street alone. Trust must be practiced to become mature, and trusting God helps us develop that virtue. 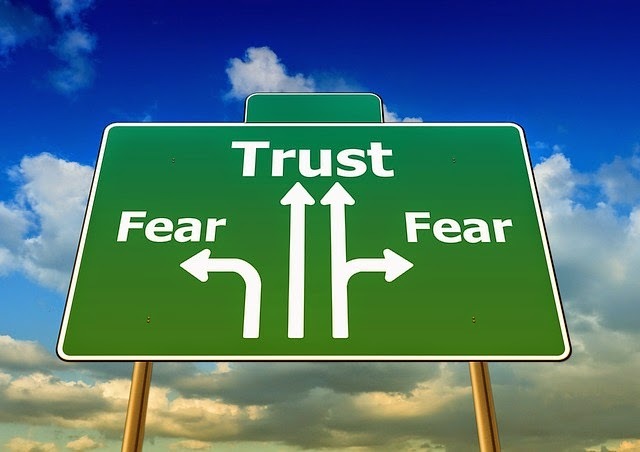 Another benefit of developing the virtue of trust is that it can carry us through the darker times of our lives. We live in a fallen world where each of us will face difficulties. Struggles, sickness, and death are all part of the human condition. However, for the person who trusts God and his word, they can have the confidence that such difficulties are able to be overcome. A believer can more bravely face his trials knowing that God is sovereign over them and that "the sufferings of this present time are not worth comparing with the glory that is to be revealed to us" (Rom 8:18). Without trust, one is faced with desperation and despair. Dark times test the trust one has in God and can steel their hearts to trust him. God also wishes us to learn to trust him because such trust allows us to be effective Christians in the world. As a hockey fan, I know that a team needs trust to succeed. The forwards must trust their defense in order to be aggressive enough to rush the net. The defense, in order to block the player coming down the center, must trust their goalie to stop the outside shots. Everyone on the team has to trust their training and coaching to execute plays properly. One final point: only those who trust God have the blessing of seeing their trust rewarded. When God answers prayer, delivers one from a trial, or provides success in ministry, the one who trusted him can look back and glorify the God who keeps his promises. The blessing of seeing God work to the good of his people is impossible for someone who would never trust that God would make good on his word. Howard Hughes was an icon both of American aviation and eccentricity. 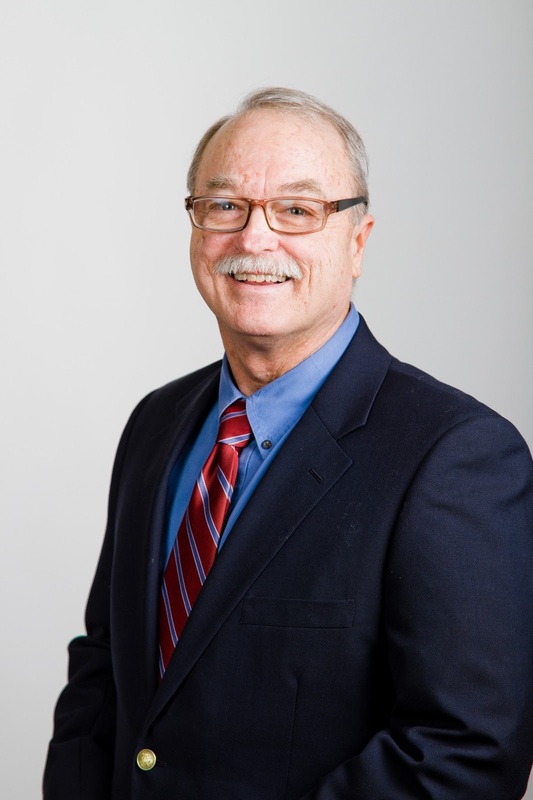 Hughes (later portrayed by Leonardo DiCaprio in the 2004 biographic film The Aviator) was a groundbreaking inventor and pilot, setting multiple records for aviation1 and his business savvy made him one of the richest men in America. However, Hughes also suffered from a form of obsessive compulsive disorder2, especially a fear of germs which eventually drove him to be a recluse before he died in 1976. I bring up Hughes' will because it is remarkably unremarkable for human beings to create forgeries of items they feel will give them value, power, or prestige. Yet, when the topic of the New Testament comes up, there are those who feel that the Bible's restriction of official Gospel accounts to four is somehow a bad thing. They seem to take the position of Dan Brown's The Da Vinci Code, where he puts the objection in the mouth of historian professor Teabing, who says "More than 80 gospels were considered for the New Testament. "8 Such a claim is not simply wrong, but incredibly wrong. There were never any gospels other than Matthew, Mark, Luke, and John ever considered for inclusion in the Bible. Ever. New Testament Scholar Craig Blomberg points to the book The Canon Debate, which holds every known list of proposed books for inclusion in the New Testament as evidence that such ideas are made up out of whole cloth. However, one way I answer the objection that gospels were supposedly left out of the Bible is by responding, "Isn't that a relief!" It just seems to me that if the church fathers took the concept of the Word of God seriously, they simply wouldn't let in just any old written document claiming to be an account of Jesus' life, just hat the courts wouldn't let any old document claiming to be Howard Hughes' will stand as legitimate. And just as those examining the fake Hughes wills threw them out because of inconsistencies with the language used, questionable connections between Hughes and the benefactor, and actions that were out of character with Hughes, so too do these other Gnostic writings show inconsistencies in their theology, questionable associations with the eyewitnesses of Jesus' ministry (these were forgeries written much later), and presented a Jesus that was completely unlike the one we see in the older, more reliable Gospel accounts. So, is there a problem when we look at the Gospel of Peter, the Gospel of Truth, or others? No. If the Gospels are the word of God, then we should expect to see forgeries pop up after a certain amount of time. It's human nature. And because the forgeries and fakes were screened out of the Bible, we should have more assurance that those passing on the Biblical accounts of Christ took their jobs at least as seriously as the judges passing on a billionaire's fortune. 1. Lerner, Preston. "Howard Hughes' Top Ten." Air & Space Magazine. Smithsonian. Nov. 2004. Web. 04 Nov. 2014. http://www.airspacemag.com/history-of-flight/howard-hughes-top-ten-5206422/?all. 2. Dittman, M. "Hughes's Germ Phobia Revealed in Psychological Autopsy." The American Psychological Association. The American Psychological Association, July-Aug. 2005. Web. 04 Nov. 2014. http://www.apa.org/monitor/julaug05/hughes.aspx. 3. "Howard Hughes' Will." World of Forensic Science. 2005. As reproduced in Encyclopedia.com. HighBeam Research, 01 Jan. 2005. Web. 04 Nov. 2014. http://www.encyclopedia.com/doc/1G2-3448300293.html. 4. "Howard Hughes Estate Settled... After 34 Years." Living Trust Law Firm. The Law Offices of Jeffery G. Marsocci, PLLC, 21 Oct. 2010. Web. 04 Nov. 2014. http://www.livingtrustlawfirm.com/howard-hughes-estate-settled%E2%80%A6-after-34-years/. 5. Hudson, Kris. "GGP, Howard Hughes Heirs Settle Las Vegas Payment." The Wall Street Journal. Dow Jones & Company, 20 Sept. 2010. Web. 04 Nov. 2014. http://online.wsj.com/news/articles/SB10001424052748704416904575502292011174892. 6. World of Forensic Science, 2005. Of courses, Harris is completely wrong in his view of faith. Some aspects, such as his attempt to divorce faith from civility are a bit laughable—especially when it is the "reasonableness" of Harris that tries to label any person of faith as lost in outer space. Sam Harris is a master at creating straw men when discussing religious belief, and that's just what this is. But the misconception has been around a lot longer than Harris. It was probably expressed most succinctly by Mark Twain who said, "Faith is believing in what you know it ain't so." But people of reason can be also people of faith, in fact the Christian practice of apologetics is designed to give reasons and evidence for faith. Part of the confusion is polemical; atheists like Harris have a desire to make people of faith look as bad as possible, so he writes that the faithful are uncivil and deceitful. But Harris isn't being reasonable here. I've written before about Harris's misdefinition of faith; you may read articles here and here. I think another key problem with Harris; view is that he misunderstands the concept of reason as well. Everyone assumes they know what reason is, but reason involves thinking rightly about the world around us. Ultimately when we talk about reason we talk about a rational enterprise (using our minds) to aim at an objective criterion. We avail ourselves of what we know to try and make sense of ourselves, the world and our experiences. Basically, being reasonable means we are looking for truth by thinking well. For example, your senses may tell you that the Sun circles the Earth. If we look up, we watch it; we can see it with our eyes. Isn't that enough proof? No, it isn't. Isn't that empirical evidence? Yes, but just a bit of empirical evidence alone may lead you astray. Just because we see something with our eyes it is not necessarily the end of the matter. How do we know that our eyes are not telling us the truth? We have to find new facts and we then use our reason to compare different sets of data. There was no way to deduce Copernicus' view using sense data alone. Copernicus showed mathematically why his model made more sense, and part of the attractiveness of his model was its simplicity and beauty. 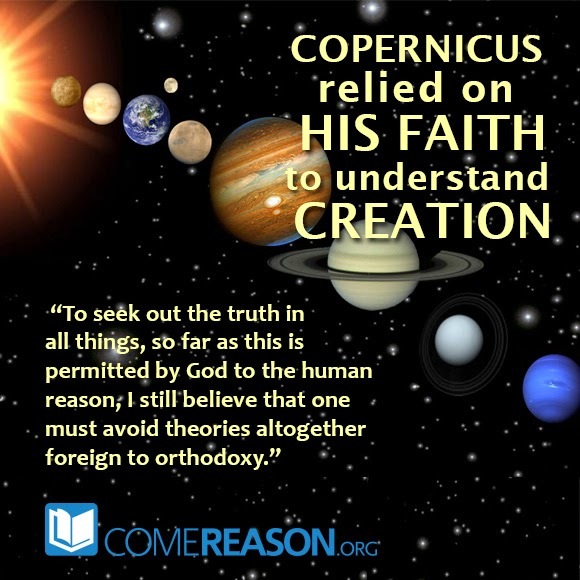 But Copernicus says that he wished to remain orthodox in his understanding of the world and it was his use of reason as given by God that led him to his view of a sun-centered solar system. Metaphysical faith helped propel the Copernican model forward. When one seeks to be reasonable, it means that he must weigh all the information at his disposal. That may include considering ideas that are not based in empirical observation alone, but ones that have a basis outside of nature. If God's existence makes more sense out of things like the emergence of life from nonlife, the emergence of consciousness and the orderly nature of the universe, then, barring actual evidence to the contrary, it would be unreasonable for us to believe there is no God. I wish Sam Harris and other atheists who like to bring up Copernicus would look at how reasonable Copernicus really was. I also wish that some of the New Atheists would also hold to not being "so much in love with my conclusions as not to weigh what other think of them." That would be a very reasonable thing to do. 1. Harris, Sam. The End of Faith: Religion, Terror, and the Future of Reason. New York: W.W. Norton, 2004. 65. Print. 2. G Zimmermann, Die Gottesvorstellung des Nicolaus Copernicus. Studia Leibnitiana 20 (1) (1988), 63-79. As quoted from O'Connor, JJ and E F Robertson. "Christianity and the Mathematical Sciences - the Heliocentric Hypothesis." The MacTutor History of Mathematics archive. University of St Andrews, UK. July 2014. Web. Accessed 03-11-2014. 3. Copernicus, Nicholas. "Dedication of the Revolutions of the Heavenly Bodies." The Harvard Classics. By Charles William Eliot. Vol. 39. Connecticut: Grolier Enterprises, 1993. 55. Print. What are heresies and why are they so important to avoid? During the first 400 years of the Christianity's existence, the church fathers wanted to ensure that the doctrine passed down from Christ and his apostles would remain uncorrupted. Thus, heresies were a significant concern. In my most recent podcast series, I reviewed a few of the significant heresies that the early church answered and why a proper understanding of who Jesus is can make all the difference. All four podcasts are available for download by following the links below. If you would like to subscribe to the Come Reason podcast, just grab the RSS feed here.